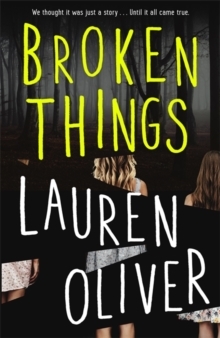 The stunning new standalone novel from New York Times bestselling author Lauren Oliver. It's been five years since Mia and Brynn murdered Summer Marks, their best friend, in the woods. Increasingly obsessed with a novel called The Way into Lovelorn and by their fan-fiction imagining of its sequel, the girls were drawn by an undertow of fantasy into the magical world they'd created. But eventually, their delusions turned sick, and the Shadow, Lovelorn's central evil, began to haunt them. Or so the story goes. The only thing is: they didn't do it. Brynn and Mia have both found different ways to hide from their notoriety, seeking refuge from a world that hates them-a world that will never feel magical, or safe, ever again. On the anniversary of Summer's death, a seemingly insignificant discovery resurrects the mystery and pulls Mia and Brynn back together once again.